The Andean Information Network promotes human rights and socioeconomic justice in Bolivia and more humane and effective illicit drug control policies. AIN provides information and analysis to NGO colleagues, the media and international policymakers on developments in Bolivia and the impact of U.S. government and European policies. Working closely with civil society organizations in Latin America and in the United States, AIN promotes policy dialogue and the development of pragmatic alternatives that address the underlying economic, social, political and cultural needs of Bolivia. 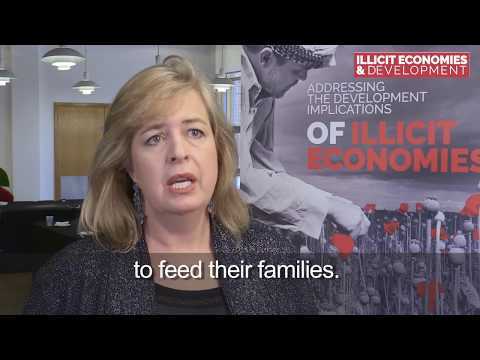 AIN's Kathryn Ledebur discussed the benefits of the Bolivian community based model for coca cultivation in the Illicit Economies & Development (IED) Colloquium held in London this past April. WOLA and AIN document progress in Bolivia, but warn about the risk of reversal without the enactment and implementation of broader judicial reform efforts. A chapter within the bulletin highlights how the Bolivian policy provides insight into the benefits of a sustainable livelihood approach to supply-side drug crop control without forced eradication. Roxana Argandoña explains how Bolivia's unions played a fundamental role in policy reform, and of the inclusion of women in decision making for the first time. This paper by the Andean Information Network considers Bolivia-US relations through the prism of the "war on drugs". An international panel of researchers and growers from Colombia, Morocco, Peru, and the United States discuss the role of drug crop production in poverty and development. AIN asks how Bolivia's coca reforms can help inform Colombia's post government-FARC peace agreement landscape. InSight Crime examines the statistics used to measure cocaine production and seizures in Bolivia and Colombia revealing inconsistencies in the methodologies used.